Although I had written a lot of lines of code in BASIC, Pascal, C, and C++ before starting my career, it was C++ that was my first professional programming language. As such, it was the first programming language in which I started to get past the basic syntax and and learn about more advanced issues and nuances of the programming languages. For the first time, I started considering performance issues, maintainability, readability, and issues other than just whether the code worked or not. Effective C++ and More Effective C++ helped me to see that there was more to programming than basic syntax and getting functionality to work. These books helped me to realize that there are general programming concepts that are wise to follow but that there are also language-specific concepts and tips one should learn and apply in the programming language of choice. General software development principles apply across many languages, but sometimes it is necessary to know language-specific features as well. After such good experiences with Effective C++ and More Effective C++, I was excited to learn about the book called Effective Java as I was transitioning from C++ to Java, a transition several years in the making. Effective Java did not disappoint. 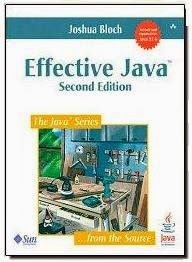 I started reading Effective Java sooner in my Java experience than I had started reading the Scott Meyer's C++ books in my C++ experience and it helped me tremendously. It helped me to see from the beginning that there were more considerations when developing with Java than just writing syntax and making things work. Although I have purchased and read seemingly countless Java-themed books over the years, I've never had a book focused on the Java language basics. Instead, I've always had specialized books focusing on aspects of Java or Java EE. The way that I learned the basics of the Java programming language was via the Java Cookbook. It helped me realize that I like this recipe-based approach to reading about, learning, and applying a new programming language. I've liked recipe-oriented books ever since, especially for quickly learning and apply a new programming language or framework. 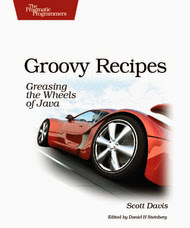 Groovy Recipes: Greasing the Wheels of Java was my introduction to Groovy. This excellent book provides a nice introduction to Groovy that not only quickly introduces its syntax and features but also introduces practical ways that Groovy can be applied in regular everyday situations. I was able to quickly see the value of learning Groovy and to realize that Groovy was more than just a trendy language fad. This book reaffirmed my realization that I learn programming languages best from recipe-oriented books that demonstrate the language used in practical situations. Groovy Recipes: Greasing the Wheels of Java and the Groovy language itself have dramatically influenced my overall approach to software development by giving me the tools and confidence to do significantly more scripting than I used to do. Being able to script and develop software in similar languages (Groovy and Java) and use the same Java libraries and frameworks has made scripting easier. Easier scripting has meant that I've done more of it and spent less time doing it. I purchased Holub on Patterns after seeing Allen Holub speak at SD West 2005 (I wasn't the only one). Holub, the author of Why Extends is Evil and Why Getters and Setters Are Evil, challenged my way of thinking (traditional and commonly accepted way of thinking at the time) about object-oriented programming. I definitely look at objects now more from a behavioral perspective than data perspective. Also, although willing to write get/set methods when necessary, my reluctance to write them until needed has been of great benefit as the era of multicores has helped us realize the dangers of mutable state. Although Holub on Patterns does provide in-depth coverage of some common design patterns implemented in Java, the far bigger influence it had on me was in how I think about object-oriented design. At a time when developers of enterprise Java applications were being told to use heavyweight EJBs and like it, many of us were wondering what we were missing when it seemed overly complex to us. Rod Johnson's J2EE Design and Development stuck a chord with me; it was relieving to see that I wasn't the only one who thought EJB 1.x was too difficult and cumbersome. More importantly, Johnson's book provided examples and discussion text that helped to see what parts of J2EE were worth using and which parts needed improvement. The Spring Framework was born out of the examples covered in this book and Spring's success inspired changes in Java EE that make it much more productive and useful. J2EE Design and Development influenced me personally and influenced an entire community. It also helped me to realize that one can be correct in thinking something isn't all it's said to be even if the so-called experts insist it is. This has helped me weather numerous fads (and their blindly adherent evangelists) in software development since then. The book also articulated better than I could my own thoughts and feelings on enterprise Java development. 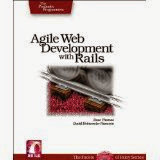 During my brief infatuation with Ruby on Rails, I found Agile Web Development with Rails to be a great introduction to Ruby on Rails. Although I enjoyed my foray into Rails, I have never worked with it to the same degree as I have with Java. Agile Web Development with Rails introduced me to Ruby on Rails, but more importantly it influenced my career, which has mostly not been in Rails, by demonstrating in a practical way how agile development can be done if a client is readily available to provide feedback. Agile Web Development with Rails and the Ruby on Rails framework itself helped change my way of thinking to see the value of convention over configuration. Shortly thereafter, the Java-sphere began to see changes inspired by Ruby on Rails's success. These included Java Persistence API (JPA) adopting "configuration by exception" approach and the Grails framework. Ruby on Rails influenced much of the web development community and Agile Web Development with Rails was the tool that allowed me to most easily experience this influence personally. The Practice of Programming does not waste time with extraneous pages. The 250 page book covers the most fundamental issues in programming such as debugging, testing, performance, and portability. I read this early in my software development career and find myself reading portions of it again from time to time. Many great books have come along since that deal with these subjects, but The Practice of Programming was the first to cover most of these for me. Software Craftsmanship: The New Imperative was published at almost the perfect time for me in my career. The book helped me articulate my own observations about what made a "software engineer" more complete. 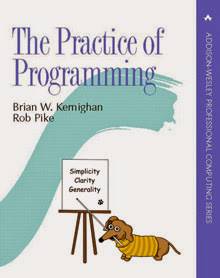 In addition, this relatively short and to-the-point book helped me discover other approaches that I would later use in efforts to make my code more than just functional. 201 Principles of Software Development features 201 short (typically one or two paragraphs) descriptions of 201 software development principles with a reference to a generally well-recognized expert source with further details on that principle. The text is comprehensive enough to understand the principle and the references to proven sources give the reader the ability to learn in more detail how to apply the covered principle. This book not only helped me to solidify these principles in my own mind, but helped me to understand the breadth of materials available to the software developer. During my software development career, I've repeatedly seen trends come and go. Sometimes I'll hear a relatively new developer talking about some "new" thing that is really just a reincarnation of the same idea in different form that its previous incarnations. 201 Principles of Software Development helped me realize at a relatively early stage in my career that many concepts and principles that were "new" to me, were really not new to the greater software development industry. Most "innovative" concepts in our industry typically share common themes or are even grounded in one or more of the principles covered in this book. The books covered in this post have had significant influence on my software development career and how I think about software development today. Numerous other books have had lesser degree of influence. In some cases, these other books might have had more influence had I encountered them at a different (often earlier) point in my career. In fact, that might be the point of this post: different books will have different impact on different developers depending on where those developers are in their careers. The books in this post have had particularly great influence on me, but I know that other developers have been significantly influenced by books such as Code Complete, Clean Code, and numerous other books. I was surprised at how many language-specific books were on this list as I compiled it, but each was really more about that language. These books are about how to apply the language to achieve more general software development ideals and that's where they have been most influential to me.